The Cadillac ATS is truly a one-of-a-kind vehicle. This vehicle encompasses all of the features that Cadillac enthusiasts have come to love, along with some classic features as well. The style, safety, security, convenience, and entertainment are all top-notch, especially for a vehicle that started manufacturing in 2013. One of the greatest aspects of a used Cadillac ATS for sale is the power under the hood. The power and handling are unmatched by any other vehicle in its class. This Cadillac ATS will get 202 horsepower and comes equipped with a 2.5-liter L4 engine, which is perfect for most situations and terrains. The transmission is a 6-speed automatic, which most customers love. If you’re looking for a vehicle that looks as good as it drives, the First Generation Cadillac ATS is the vehicle for you. It also comes equipped with rear-wheel drive, which contributes to its sporty, nimble handling. Another reason the customers have come to love the First Generation Cadillac ATS is due to the fact that it has an excellent fuel economy. When searching for a used Cadillac for sale, you will come across a variety of models in a variety of model years and conditions. However, the First Generation Cadillac ATS is one that continually impresses its drivers. The fuel economy is a major selling point of this vehicle, and rightfully so. The Cadillac ATS will get between 22 and 26 MPG combined highway and city mileage. Typically, when customers are searching for a luxury vehicle, they are expecting to find a vehicle that is not entirely efficient on fuel. However, the First Generation Cadillac ATS is a welcome surprise in that respect. This vehicle is an absolute “must have” for anyone searching for a used, respectable, and reputable luxury vehicle. Due to the sheer amount of features that are included, to the one-of-a-kind stylish and athletic appearance, one may understandably assume that the price tag of even a used Cadillac ATS for sale would be sky high, but the MSRP for this vehicle is comfortably in the $20,000 range. This is absolutely affordable and proves to be a great deal for the excellent features and specs that come standard on this vehicle. If you’re looking for a vehicle that will change the way that you drive forever, a used First Generation Cadillac ATS for sale should be your number one choice. From its start in 2013, the Cadillac ATS boasted sleek and modern styling, sporty handling, and advanced features for an overall fun ride. Measuring to be 183″ L x 71″ W x 56″ H, this mode is a luxury sedan that can fit up to five passengers comfortably as they enjoy the thrilling ride. With up to 321 horsepower and a max mpg of 33 highway, the Cadillac ATS is both fun to drive and economical. This model also offers the best the automotive world can offer from safety to entertainment. The highlight of the Cadillac though will always be its style though. With sharp detailing and smooth sculpting, drivers can gain a sense of both thrill and chill in one appealing vehicle. The 2014 Cadillac ATS is almost completely unchanged considering it just premiered a year earlier. A few feature and trim edits were all that drivers. As a five-seat luxury yet affordable sedan, the Cadillac ATS was born to impress with its athletic handling and commanding engines. On top of that, the Cadillac is also known to be one of the most aesthetically pleasing vehicles on the market with its timeless design that integrates sharp features with smooth sculpting. The 2015 and 2016 Cadillac ATS both offer 321 hp and up to 33 mpg highway for power and proficiency; giving drivers the whole package when it comes to performance. These models are also reasonably sized measuring to be 183-184″ L x 71-73″ W x 55-56″ H and weighing at most 3,693 pounds curd weight. The list of features in both safety and entertainment are also the best these years have to offer, and a healthy list of trims for you to get the exact ones you need in your life. The 2015 Cadillac ATS brought about two noteworthy charges including a new front-end design that showcases the new Cadillac emblem, and even more importantly a new coupe body style for those who enjoy something even more striking in design. 2016 on the other hand only offered minor changes such as a revised V6 engine, a new 8-speed automatic transmission, and updated infotainment, and an even more sporty ATS-V model for champion-grade performance capabilities. In recent years the Cadillac ATS has been improved in a way the keeps it refreshing but remains true to what drivers love. When it comes to purchasing a vehicle, typically safety and price are among the top aspects that a customer will consider, but power and performance should be closer to the top of the list than it typically falls. Customers need to have a good idea of how much power their vehicle will be able to put out and how well the vehicle will handle certain situations. If you’re looking for a vehicle that is as powerful as it is stylish, the 2017 and 2018 Cadillac ATS is the vehicle for you. You’ll be amazed that this luxury vehicle has outstanding power and handling that it does. This engine will put out 202 horsepower, which will make any customer happy. Furthermore, the 2.5-liter L4 engine will keep you moving forward for years to come. Additionally, this vehicle has 191 pound-feet of torque, which is outstanding. If you’re looking for a vehicle that will absolutely change the way you drive forever, you have to check out the Cadillac ATS. This vehicle includes all of the features, specs, and capabilities that you’re looking for, at a price that won’t break the bank. 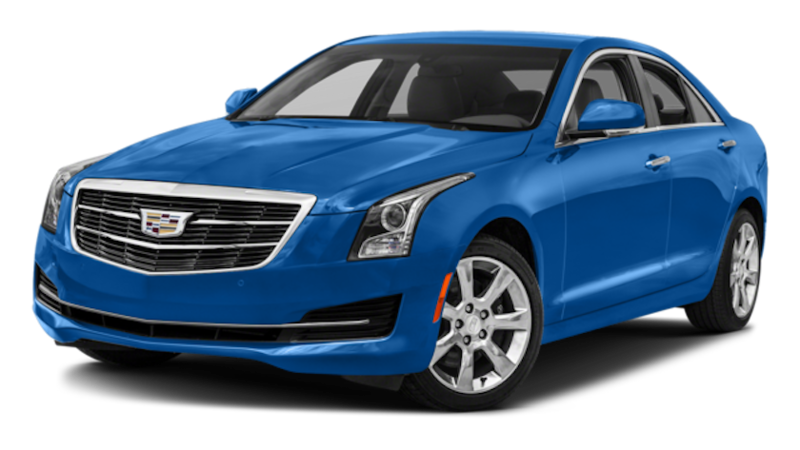 A 2017-2018 used Cadillac ATS for sale is not just powerful, it is also safe and reliable. The Cadillac ATS is a vehicle that will keep you safe and comfortable, no matter where you’re headed. Whether you’re going down the street or a road trip, you’ll be happy that you have the Cadillac ATS as your trusty steed. One of the greatest safety features is the break-resistant glass, which will help to protect you and your loved ones in the event of an emergency. Furthermore, the brake assistance will help you if you’re in a sudden situation where you can’t break in time. This feature may help you to avoid a potentially catastrophic accident and is definitely a necessity. Lastly, the security system is a favorite feature for most customers, as it ensures that you and your precious cargo are safe and secure. Whether you’re traveling or parked, you’re going to want to ensure that your belongings are secured. The 2017-2018 Cadillac ATS will assist you with this task. If you’re looking for a used vehicle, look no further than the Cadillac ATS. You’ll be pleasantly surprised by the plethora of safety and security features that come standard on this vehicle. The entertainment features are definitely some of the greatest aspects of a used Cadillac ATS for sale. If you’re someone who spends a significant amount of time in your vehicle, like the average American, you’re going to want to have the best entertainment and technology features. The 2017-2018 Cadillac ATS is a vehicle that will exceed your expectations when it comes to entertainment. Imagine listening to your favorite song or podcast out of the 7 Bose speakers that come standard on the Cadillac ATS. You’ll be jamming out like never before in the next traffic jam that you encounter. Whether you’re interested in the internet access or the LCD monitor in the first row, you’ll learn to love what the Cadillac ATS has to offer. Whether you need power, safety, or just a fun time, a used Cadillac for sale is a stylish and affordable option for any and all drivers. Looking to purchase a used vehicle? Look no further than McCluskey Auto. McCluskey Auto has all of the vehicles that you’re looking for, at prices that are hard to deny. By simply perusing the website or setting foot in their dealership, you’ll get a sense of just how excellent this dealership truly is. The sheer amount of quality vehicles that they have ready to sell will absolutely blow your mind. Furthermore, their customer service is unmatched. If you’re looking to be hassled and upsold into a vehicle that you’re not truly in love with, then McCluskey Auto is not the dealership for you. However, if you’re looking to shop with a dealership who values you as a customer and wants to see you drive off in the vehicle of your dreams, you must shop with McCluskey Auto. They will assist you through every step of the process, from selecting your vehicle, to financing, to routine maintenance. If you’re in the market for a used vehicle, make it your priority to check out McCluskey Auto today. You won’t be disappointed.